Make sure you are in Business Mode. 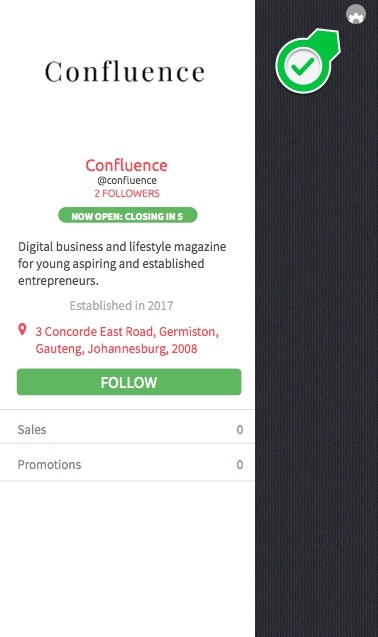 Select Businesses and select your business profile. Select the Settings icon on the top right of your browser screen. 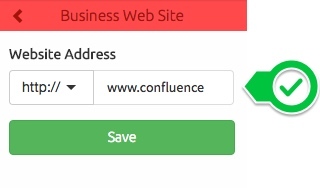 Select the Edit Profile option to Verify your website. Select the Contact tab in the Details menu. Enter in your website address. Ensure that your website is publicly accessible. Read and follow the instructions in order for you to verify website. Once the verification file has been placed inside the root of your website, Select the Verify Website button. 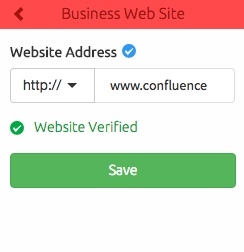 If your website is successfully verified, a blue tick which represents a verified website will appear along with a “Website Verified” message just above the Save button. Select Save to continue.